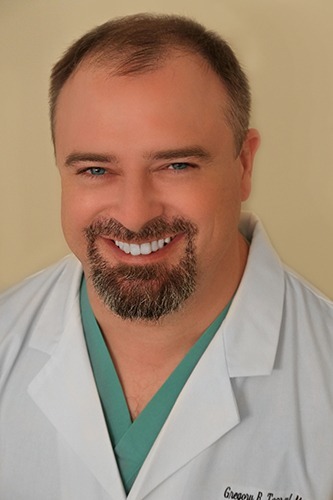 Gregory R. Toczyl, MD, FAANS, is a physician at Hattiesburg Clinic Neurological Surgery. Dr. Toczyl received his medical degree from Memorial University of Newfoundland in Newfoundland, Canada. He completed an internship and a residency in neurological surgery at the University of Mississippi Medical Center in Jackson, Miss. He also completed a fellowship in stereotactic and functional neurosurgery from Mayfield Clinic in Cincinnati, Ohio. Dr. Toczyl is board certified in neurological surgery by the American Board of Neurological Surgery. He is a member of the American Association of Neurological Surgeons and The Congress of Neurological Surgeons. His special practice interests include deep brain stimulation for movement disorders, complex spine cases and brain tumors. In his practice, Dr. Toczyl provides surgical treatment for diseases and disorders affecting the brain, spine and related areas.